Founded in 1916 by the Elk Horn Coal Company and named after the president of Consolidated Coal, Mr. Gere Wheelwright, Wheelwright was one of America's most cherished and talked about coal camp towns. The city thrived on having everything a larger city had claim to. The first Olympic sized swimming pool in Kentucky, it's own TV and phone company and of course the amazing and colorful people who walked it's streets. 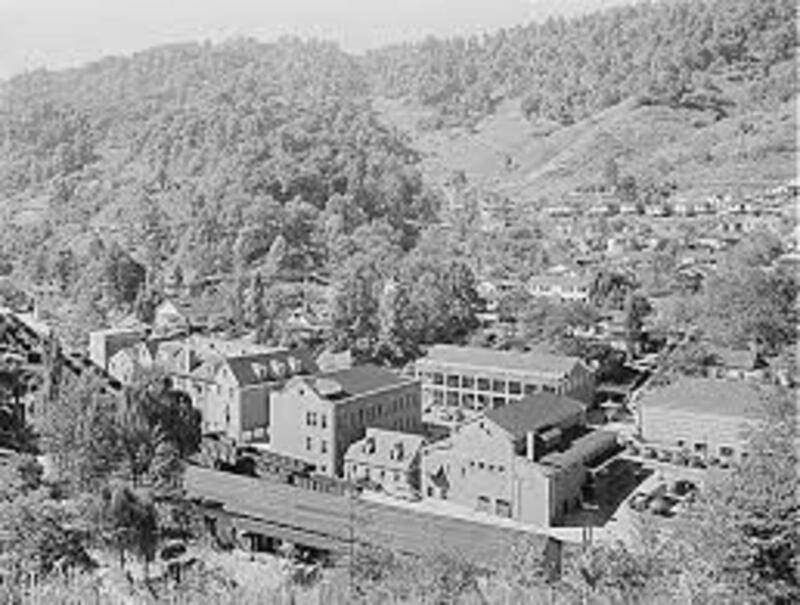 Wheelwright is still a functioning town although most of the luxuries that put it on the map have gone the way of the mining companies. 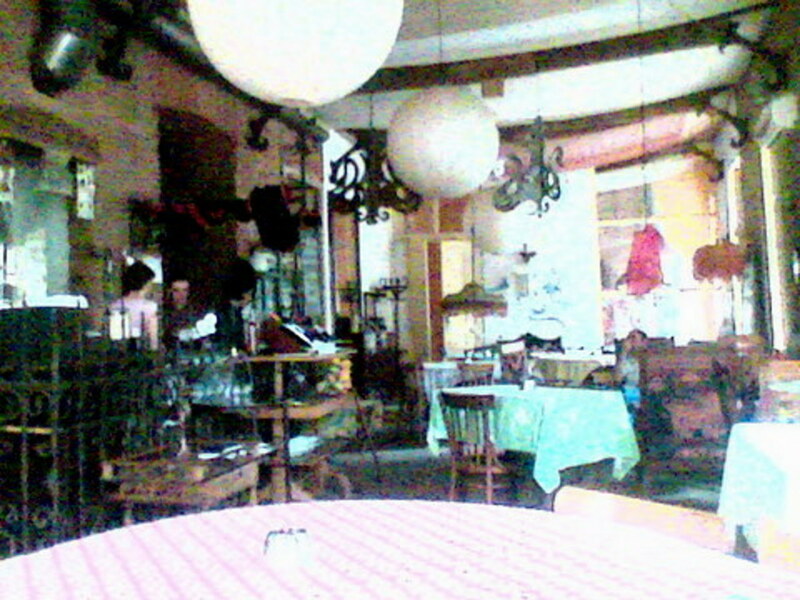 Still it has a charm that attracts people here every year and in many ways Wheelwright is still as active as it was then. I wanted to show my readers some of the amazing images that were taken in my hometown and share the memories I have had with them. I hope you enjoy. 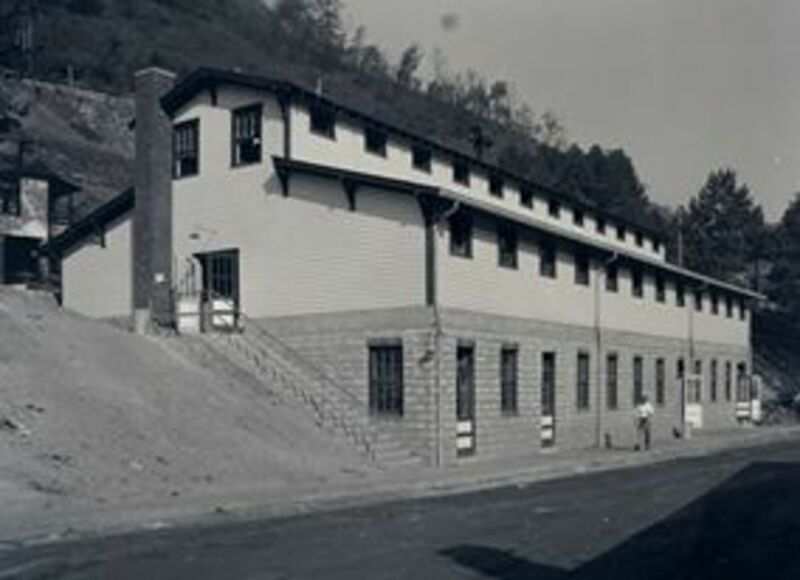 The clubhouse as it was. So much history in one huge building. Once these streets were not dusty and barren, not a bit. In fact they were alive with people and places and things to do. 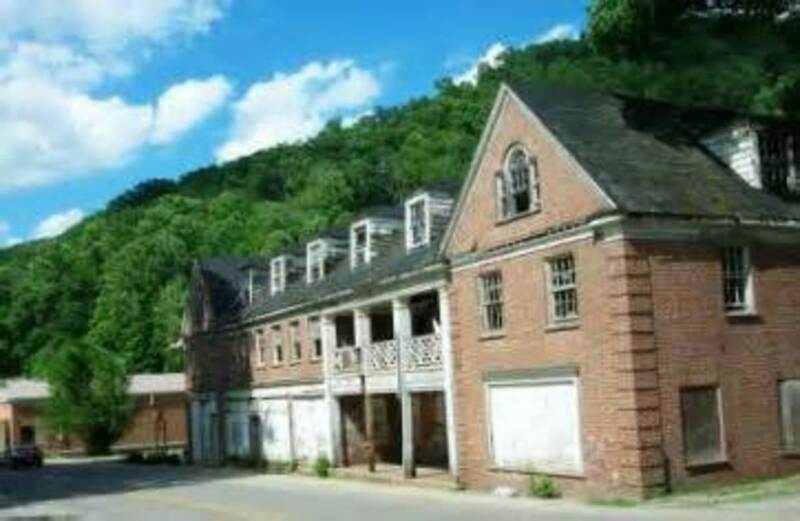 Wheelwright was a very popular spot and it earned it's keep among Kentucky cities of the era. 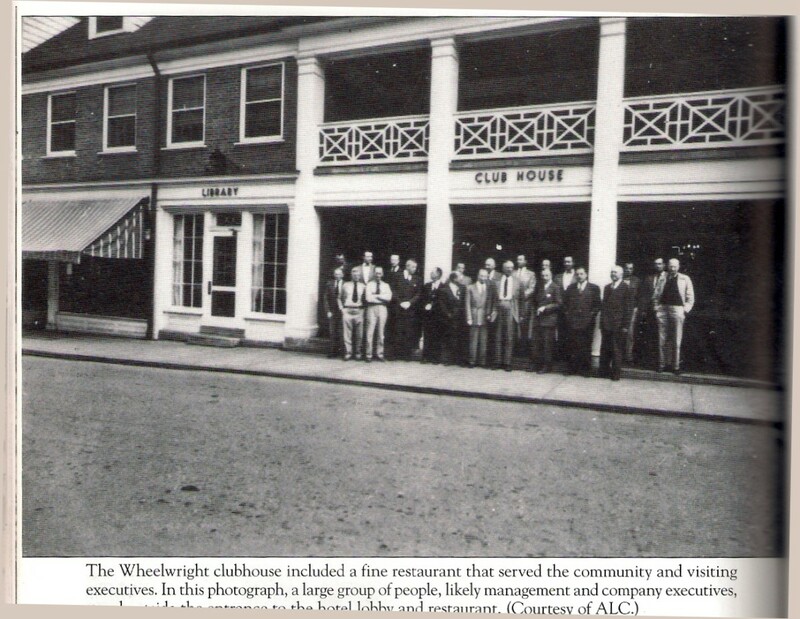 Some of the locations that really stood out were the massive Wheelwright Clubhouse. It's walls home to so much. 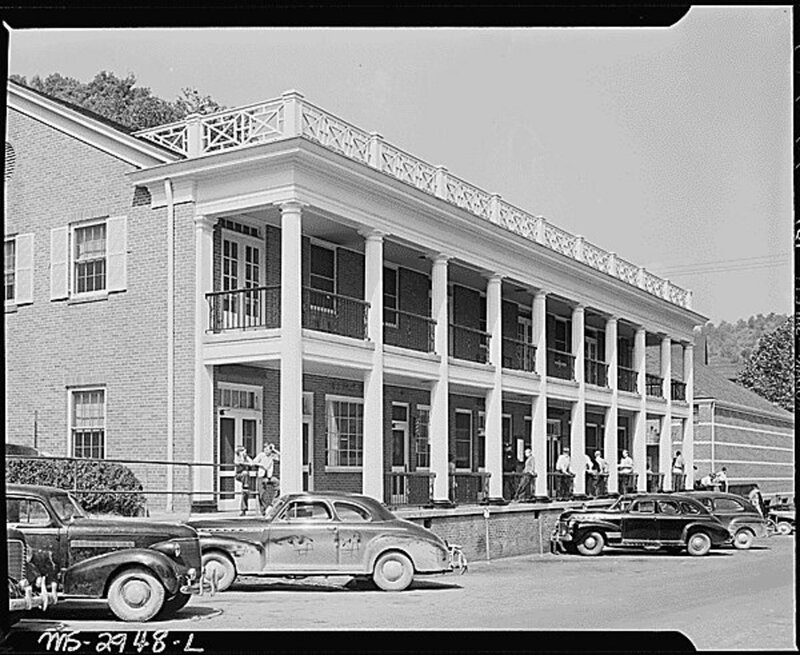 An inn, several restaurants, a bowling alley and even a full scale barber shop all set cozy in this stone structure that would eventually become known as the heart of the city. Over years it changed and things came and went and the clubhouse always stood a reminder of Inland's glory days. Alas nothing gold can stay and the mines parted ways with Wheelwright and the clubhouse saw a decline that to say the very least was anything but pleasurable. Recently the building was condemned and tore to the ground. In the spot where so much of what made this city memorable had happened is now a vacant lot, void of the history the clubhouse breeded. I care to think of the clubhouse in better terms, not as the decaying mound it became but of the stories my family told me. You could bowl in there and if you wanted grab a bite to eat upstairs or even rent a room for the night. It became legend for me as a child to hear these tales of fascinating stories from Wheelwright's elderly of how they fell in love in those walls or how they came to know their lifelong best friend in that small bowling ally. Stories like these keep the clubhouse from being a missing link to the city, they make it almost immortal, or at least as immortal as an inanimate object can possibly be. 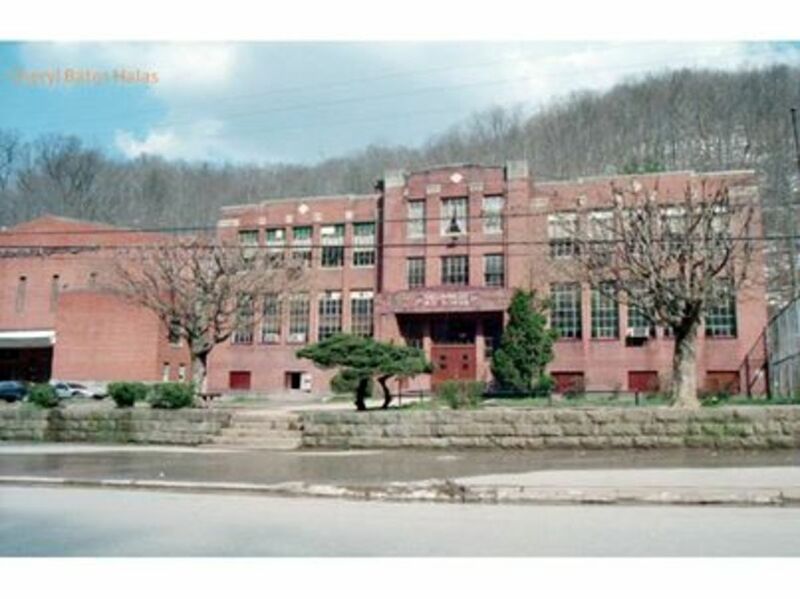 The school as she was before being torn down. 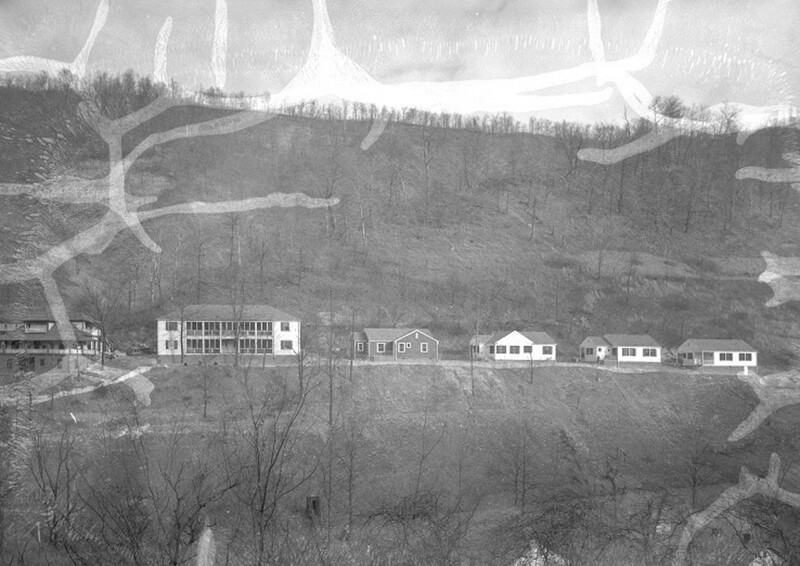 Beautiful image of the school. 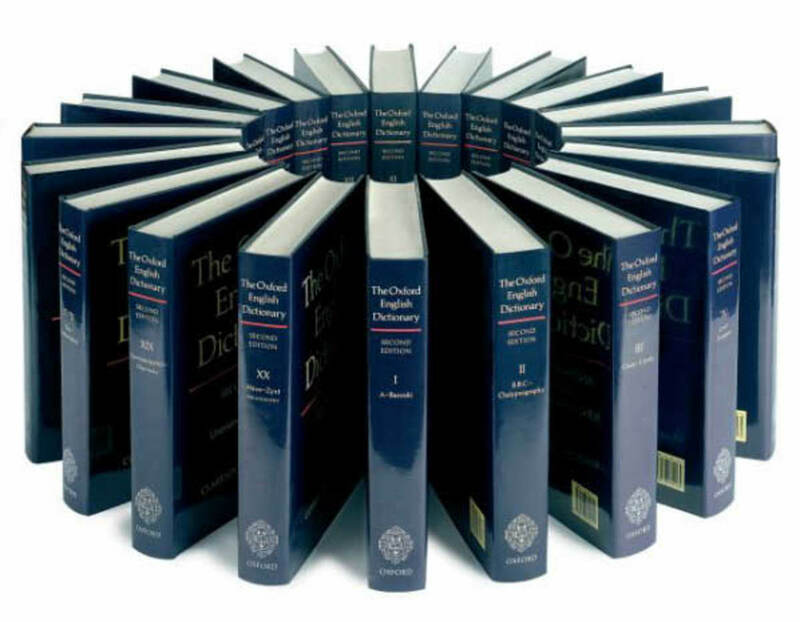 Wheelwright was no stranger to education. In fact at one point several schools existed in the community, each a big part of giving students the knowledge needed for life. 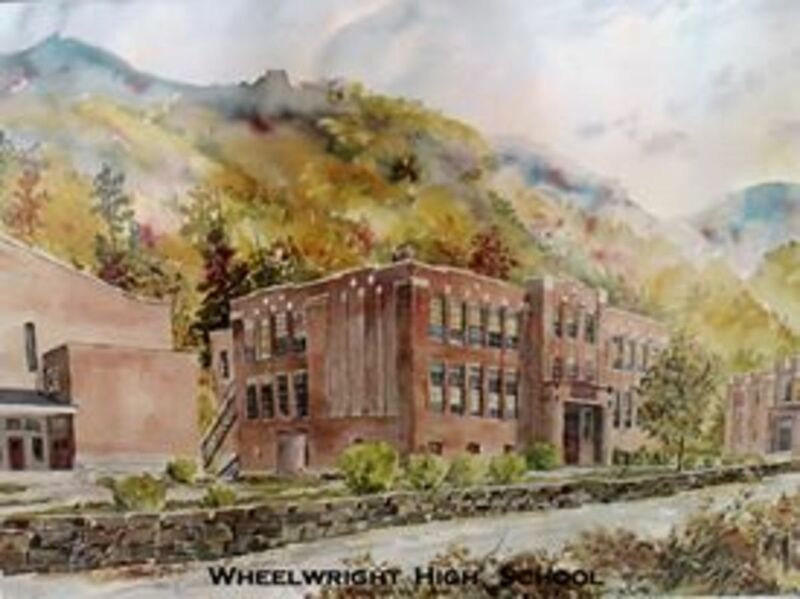 Even though the smaller ones are fascinating and full of history in their own rite the Wheelwright High School was the school that set a standard schools of today struggle to meet. It featured a full staff of amazing teachers who were always willing and ready to go that extra step to help a child in need. The school had a gymnasium that was state of the art alongside it's very own theater. I used to want to go to school there so much but before I was of age it was torn down and consolidated into a new building outside of the city. I still remember seeing "A Christmas Carol" in those cherished halls and being able to visit from time to time with TAG programs. It truly was a remarkable building with such amazing and important things always going on. The Fountain in all her glory. A place were summers were spent and memories were made. The place were miners showered before returning home to their families. Other places you should see. The city had it's own library, which I am thrilled to say I reformed several years back and it is still going strong. We had a swimming pool that was the envy of even the most devout of swimmers. The city was for all lack of a better term perfect. Not one, but two movie theaters lined the streets and a fountain that was more than a dance hall it was the very breeding ground of romance and endless stories of friendship and compassion. I think back to stories my family have shared with me over the years and am always thrilled to hear. 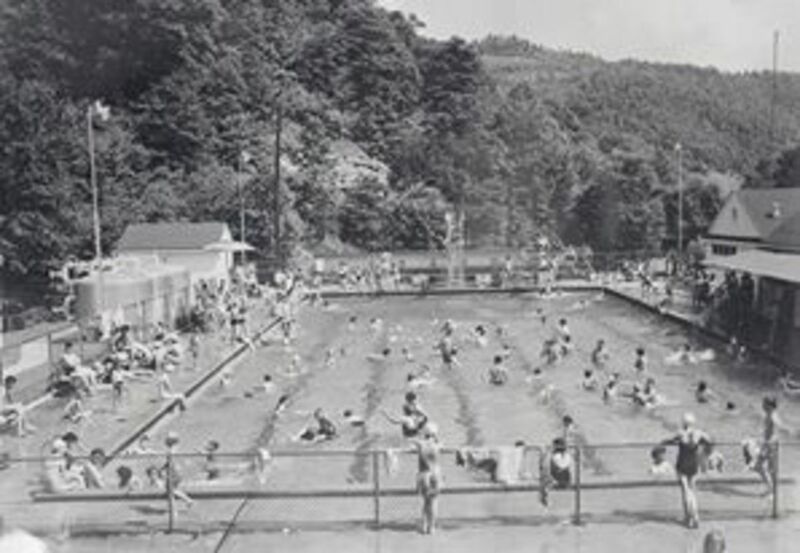 How the swimming pool used to be so full of miners and families diving off the boards. Now the pool is around 5 foot deep and less than half it's original size. I remember seeing pictures of the old bath house and really having trouble believing it is the same building that stands there now in horrid need of repair. 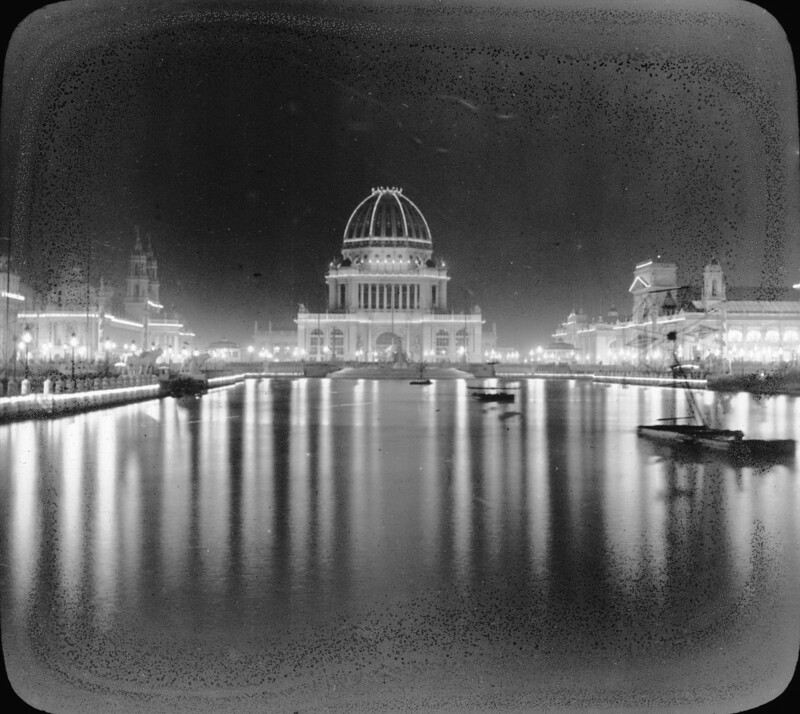 These landmarks may be gone but I feel that the memories of them will always linger, at least until someone catches a few and starts building those structures back for future use. The buildings that remain from the past are usually in bad shape but looking at them tells us so much. For those of us who remain we are reminded where we have been and where we can go again if we truly want to. Now you have seen a few of the landmarks that colored Wheelwright awesome, but they shy in comparison to the faces that really livened the city up. Bad John and Bad Talt Hall, notorious for being rough and tough yet both had a heart of gold. Ronald Gullet or Ron has we call him is a true legend in Wheelwright. Wheelwright has been home to some amazing individuals. For you old school wrestling fans you may know that the Poffo family wrestled here for years. Who were the Poffo family? Leaping Lanny and his brother Angelo Poffo, also known as Macho Man Randy Savage. That;s right wrestling royalty here in my home town. 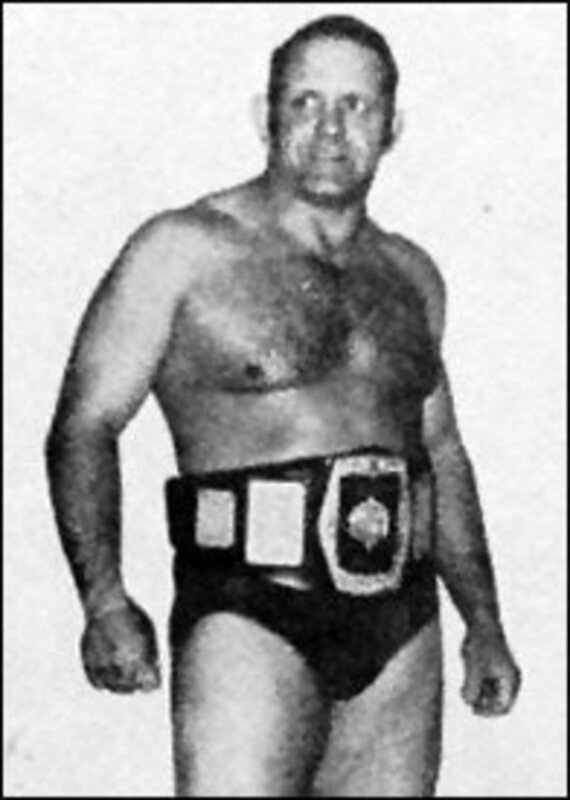 In fact Royal Nelson, a world-renowned wrestler was born and raised right here in Wheelwright Kentucky. Some people still like to talk about Wheelwright bad boy Bad John Hall, a man who had trouble follow him all his days. 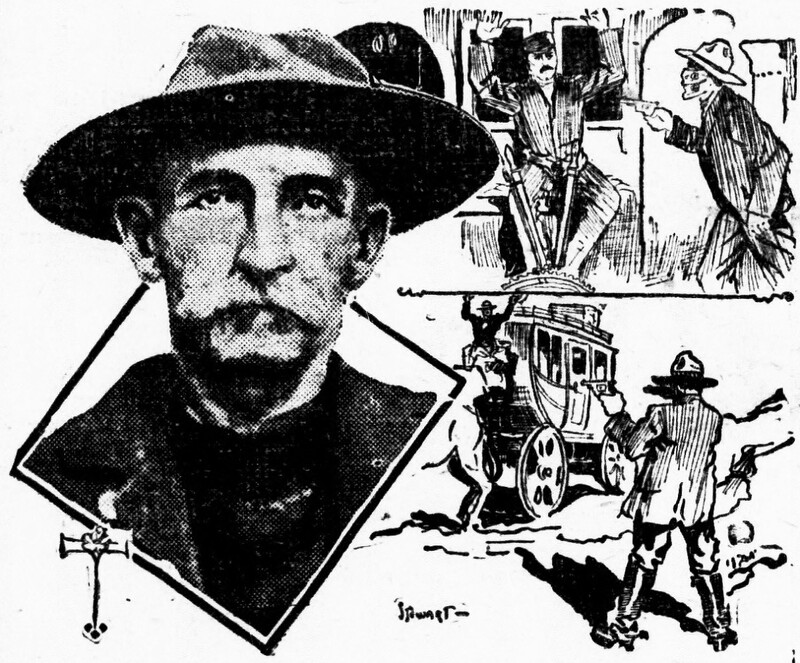 He eventually became the towns law man. 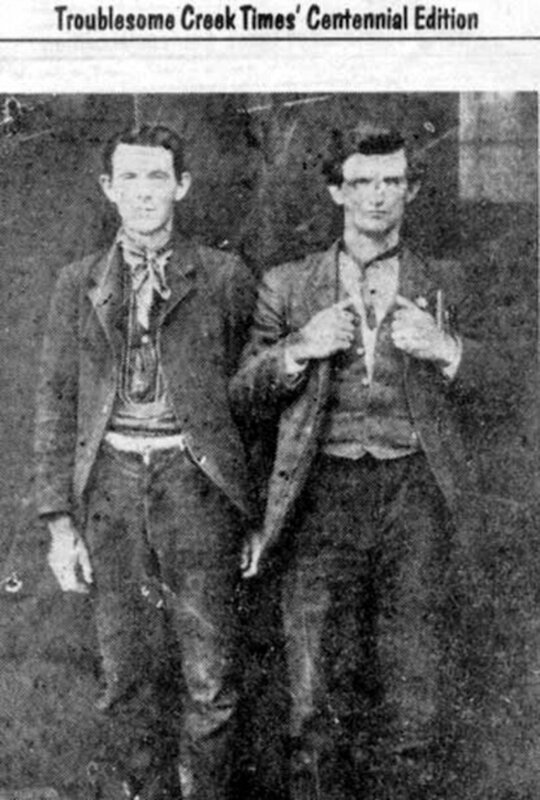 John and his brother Talt were notorious for being rebels and very few pictures exist of either in which they are not packing a firearm. John has had his story published worldwide and still people visit us here at the Wheelwright Library and Museum simply to hear about this remarkable man. Than there is Ronald Gullet. Ron's son serves with me on the fire department and I can not say enough good things about this man. Ron was electrocuted at his job in the mines. The result was he lost an arm and a leg. 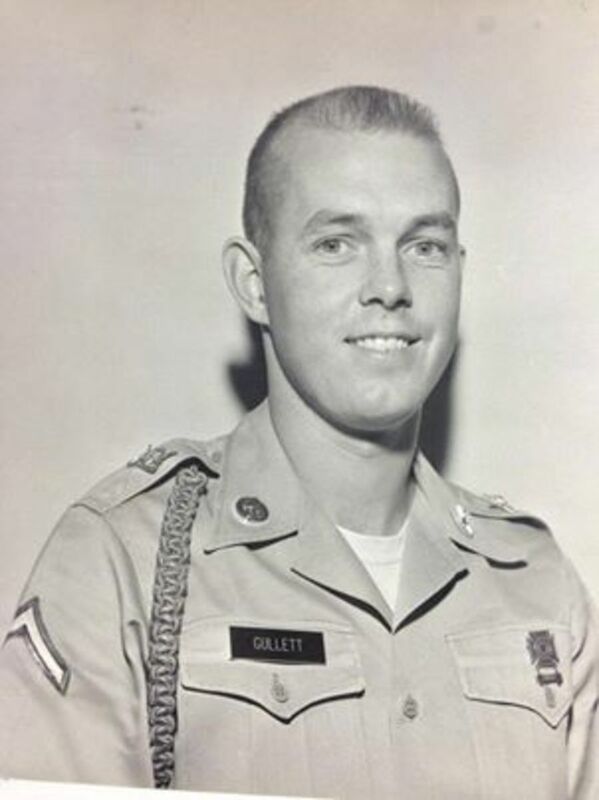 A testament to a hard working American, Mr. Gullet returned to work in a matter of weeks and to this day is still a beacon of what the strong will and faith of a man can accomplish. Wheelwright had it's sports stars with Dewey Jamerson, who was a football legend who became the school's principal. Jodi Sword was a stand out on the basketball team and of course let us not forget Richard Watts who was not only a baseball star but the first black foreman and mine inspector in KY history. All of these people are a part of what made this town great and their stories are still what keeps it flowing strong. It has always been the Wheelwright Historic Society's prime objective to always remember these places and faces and keep them alive at least in spirit. We preserve the past one picture at a time but really we also want to pave a way to a better future for the community as well. Find more pictures to enjoy and talk with some residents both past and present to see what is going on in Wheelwright. My mother, Anna Mae and her brother, Jim, were born and raised in Wheelwright. Their father, my grandfather, was the town doctor - Doc Bailey and their mother, Nancy Bailey. My father worked for Inland Steel as an engineer in Wheelwright. Was born and raised on Jacks Creek in Begley ....Would not trade my growing up there for anything in the world...Had the best parents in the world and family...I love my sister and brothers more than life...Had so many friends and neighbors that were like family..Ky is a great place to live.. Such a shame to see quality old buildings torn down! MY NAME IS WALTER BURKE FROM LONG FORK MY MOTHERS RELATIVES WERE FROM WHEELRIGHT I WAS JAILER FROM PIKE CO FROM1958 UNTIL 111978 IS MIKE VANCE AND RUSSEL HALL STILL THE TWO RICHEST MEN IN TOWN. We will mourn Ron for sure. Such an amazing man and a big part of Wheelwright both past and present. Very interesting story about this unique American town. Excellent Hub, Lorddraven2000. Love what you're doing, and on a sad note my uncle Ronald Gullett, passed away this morning, 4/26/2014. He was a good man and will be missed. Kelli her name was not Ruth was it? If so she was my kindergarten teacher and one of the sweetest ladies I have ever met.